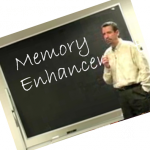 Manlow’s Memory Enhancement Workshop was developed for the College, Schools, Corporate and Senior Adult markets. Students The Workshop concentrates on eliminating the points that often confuse students and demonstrates easy to remember techniques to remember long, cumbersome facts more quickly. Ultimately, they will end up feeling more confident and less stressed before taking their exams. Corporations Employees will learn how to remember names, faces and important dates. The need for calendars and notepads will be eliminated. Senior Adults will be taught how to cure Absent Mindedness—-FOREVER. They will also be taught how to remember important numbers such as their pin and phone numbers. And they will learn how to go shopping without ever having to write down lists of items again.